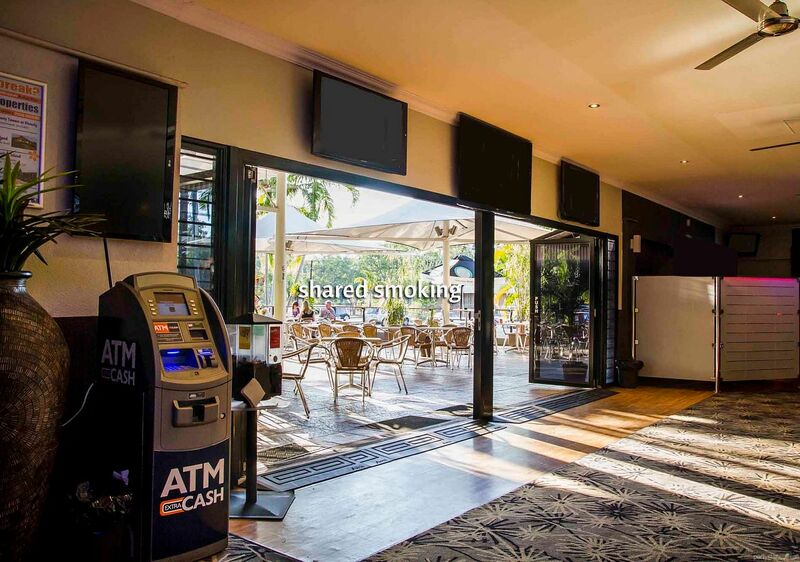 The Airport Tavern is situated only a short drive from the Darwin International Airport and 10 minutes from Darwin's CBD. We have hosted every kind of party... Christmas, anniversaries, birthdays, work related celebrations, and 3 course sit-down extravaganzas. We have a menu for any occasion with a delicious assortment of tasty morsels. 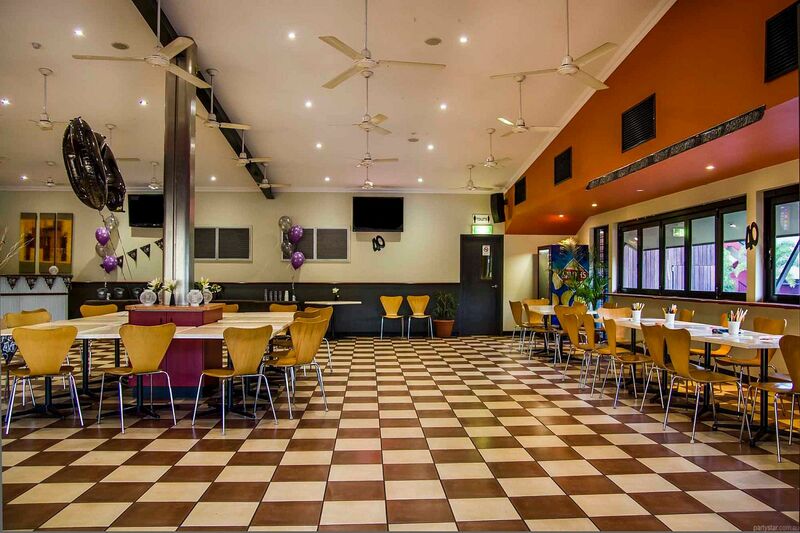 Choose from a la carte, buffet, gourmet buffet, platters, and set menus. Your guests' noses will be twitching in anticipation of our homemade fare. Make use of our portable private bar which serves any Coopers keg at a great price, and also premixed drinks. Wine, champagne, and cocktails can all be served as an arrival drink to wow your guests. 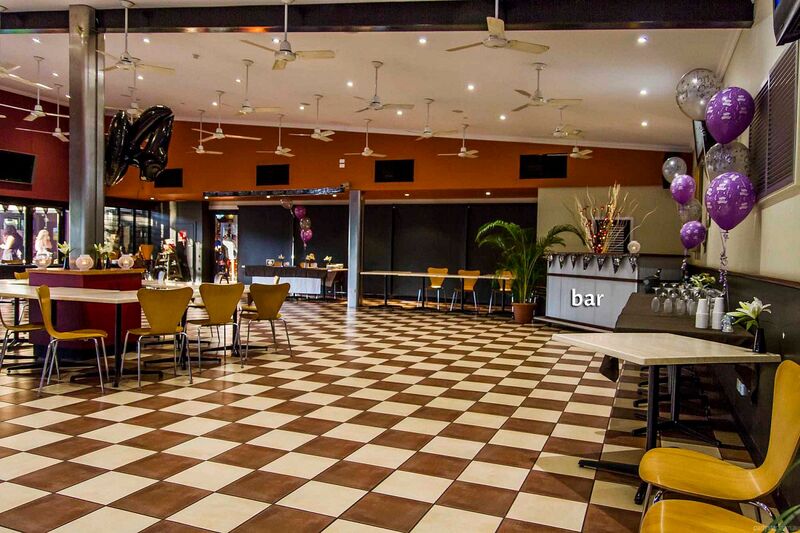 Alternatively, the Main Bar is available four metres away for your use, and is fully stocked with all the usual faves. 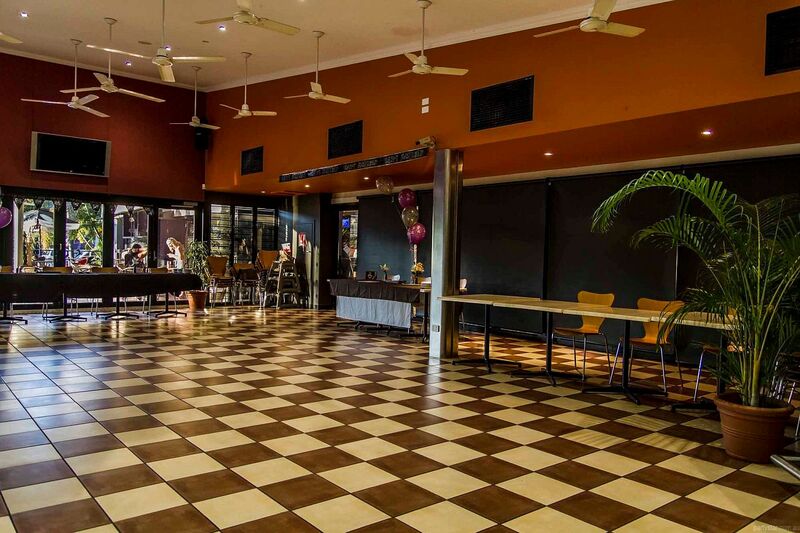 We have many in-house artists and DJs to recommend for functions. 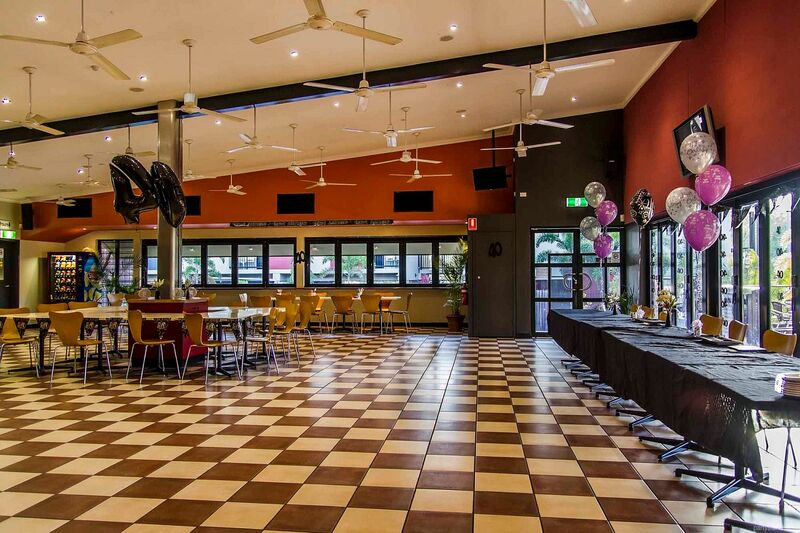 Many of them entertain throughout Darwin at clubs, pubs, and bars. Be aware: Weekend functions have a $110 minimum food spend. Restrictions: Confetti and any material that requires labor intensive cleaning.